Modern Oscar Style Achievement Award. 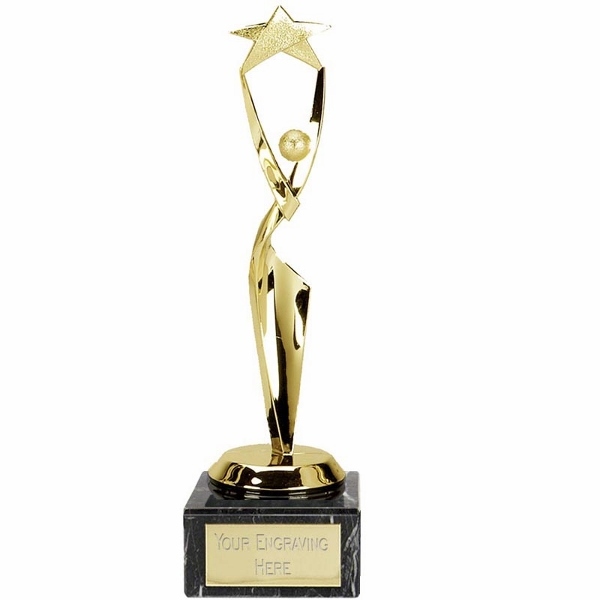 A gold award mounted onto a heavy marble base, measuring 8.25 inches. Please detail your text requirements by clicking the customise button below.